With these six words, Abraham Lincoln launched the Gettysburg Address, one of the most famous speeches in American history. 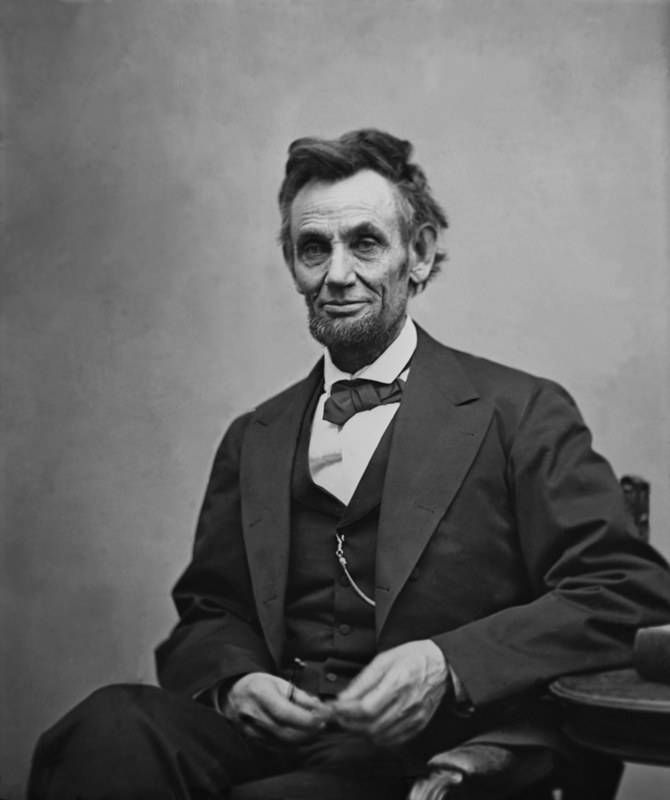 He set up a persuasive argument in favor of human equality by calling to mind the nation’s origins, and the principles that formed its foundation. 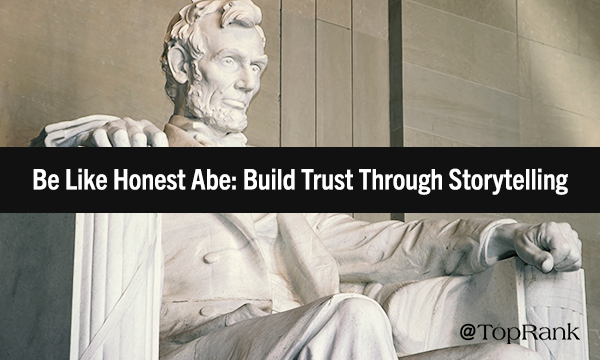 Last year at Quartz, Dacher Keltner wrote about how good leaders tell stories that make people trust them with power, citing Lincoln as a prime example. Modern marketers are not tasked with bridging a divided country, but we do face an uphill battle in this crowded, fractured digital setting. And with trust toward media, organizations and institutions diminishing, stories present an underrated vehicle for fostering connections and establishing credibility. Everywhere you look, the tactic is becoming more ingrained. Every content creator should consider themself a storyteller. When we write, we are invariably sharing a story: about our solution, about our customers, about the pains we can help solve. And the integration of narrative is extending beyond marketing copy. Sales professionals are incorporating stories into their presentations and pitches. Companies use stories to attract quality talent. The video marketing movement is largely driven by storytelling and its innate resonance, reflected by the rapid growth of ‘Stories’ on social media platforms. When people hear or see stories, their brains light up in different ways, tapping both the rational and emotional areas. Tying multiple pieces of information together in a coherent, chronological, and — above all — relatable way makes the message far more affecting. The content suddenly becomes experiential instead of merely educational. We can satiate this appetite by putting a good story in front of the people we want to reach. But it’s not that simple. When it comes to building influence through storytelling, there are a few considerations worth keeping front-and-center. Stories serve many purposes in marketing. In our current environment, building trust may be the most vital among them. If this is the goal, make sure you adhere to these imperatives. Lincoln didn’t gain the nickname “Honest Abe” for nothing. Despite his physique, the gangly 6-foot-4 politician didn’t have a reputation for spinning tall tales (at least not in misleading ways). Storytelling backfires when it strikes people as false or disingenuous. Share real anecdotes and back them with third-party evidence or quotes. Telling hard truths, even if it means acknowledging a shortcoming in your business, can be tremendously beneficial in the long run. Even more than being true to the facts, you must be true to yourself, and your brand. You know who you’re trying to reach. Hopefully you know a fair amount about them and their circumstances. When crafting a story, you must ask yourself if there’s a relevant hook that will make it applicable for them personally. This dynamic makes case studies, customer testimonials, and content featuring industry thought leaders and influencers — featuring first-person perspectives from businesses very similar to the ones you target as prospects — tremendously powerful. But even beyond that, it’s crucial to outline situations, scenarios, and challenges that your audience can relate to. Empathy is essential to gaining trust. As you can tell from the opening sentence of this post, and many of the links scattered throughout, this is not the first time we’ve discussed storytelling on this blog. But we only continue to focus on it because of its critical importance in content marketing today. And hopefully this ongoing emphasis helps crystallize this significance. There’s an actual psychological phenomenon behind this: our brains give preference to the familiar. Once a seed or idea has been planted through effective and memorable narrative, people are more likely to notice and internalize it going forward. In other words, telling the “same old story” isn’t such a bad thing, so long as you can find new angles and dimensions to explore. A robust, ongoing, expanding narrative has the capability to continually reinforce trust and confidence. As you contemplate your brand narrative and how you’ll present it going forward, I encourage you to keep these three cornerstones in mind: authenticity, relevance, and familiarity. When storytelling incorporates all three elements successfully, it can build trust in ways unparalleled by other methods. Storytelling can not only build trust, but also influence with your audience. Check out our post Cracking the Code: 3 Steps to Building Influence with Content Marketing for actionable tips and insights. At TopRank Marketing, storytelling is a core component of our content marketing approach. Give us a shout if you’d like to hear the whole story.